From Ishinomaki (Japan) to the world We deliver fresh seafood. 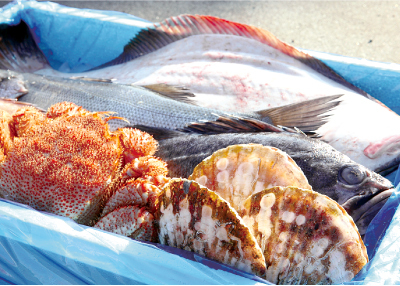 We send fresh and tasty seafood to all over Japan. Cheerful voices fill the air when the freshly landed seafood arrives at Ishinomaki Fish Market early in the morning. It is our duty to bring you the freshest seafood. We have continued our business under the motto “Fresh and High Quality Seafood” for more than 40 years. We struggled after the Great East Japan Earthquake but thanks to the support of many people we reopened our main retail store in December, 2011.